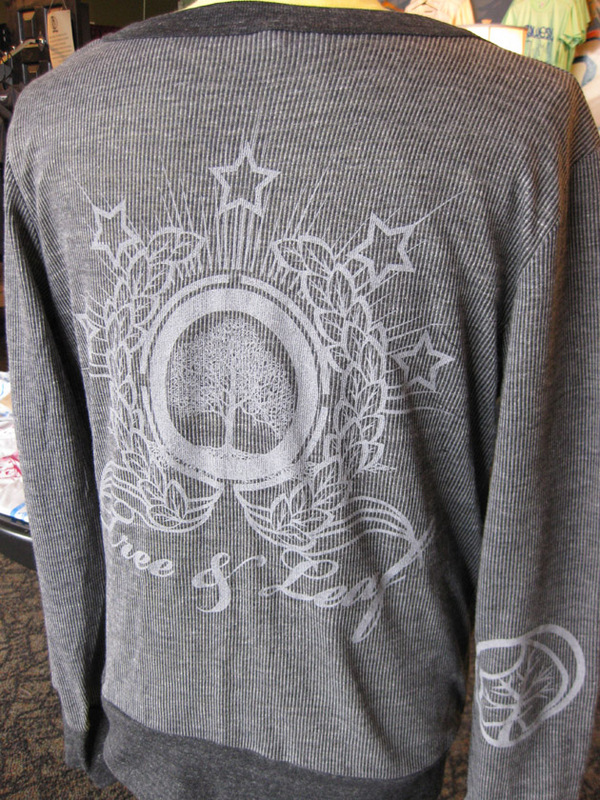 A long-time Tree & Leaf employee and an incredible artist, Kaleb Nimz, has designed a stellar new tee for Tree & Leaf. "The image was created with a strong influence 16th Century Renaissance masterpieces," says Nimz, "I try to produce artworks that compliment the exemplary skills of Michelangelo himself." I made all that up, but Kaleb has an incredible style of using image as type and is a Graphic Design major at University of Central Oklahoma. The image says. "Make The Right Choice" so make a wise decision and get yourself a fresh new artist line tee today, and remember that 30% of Artist Line sales go directly back to the artist. 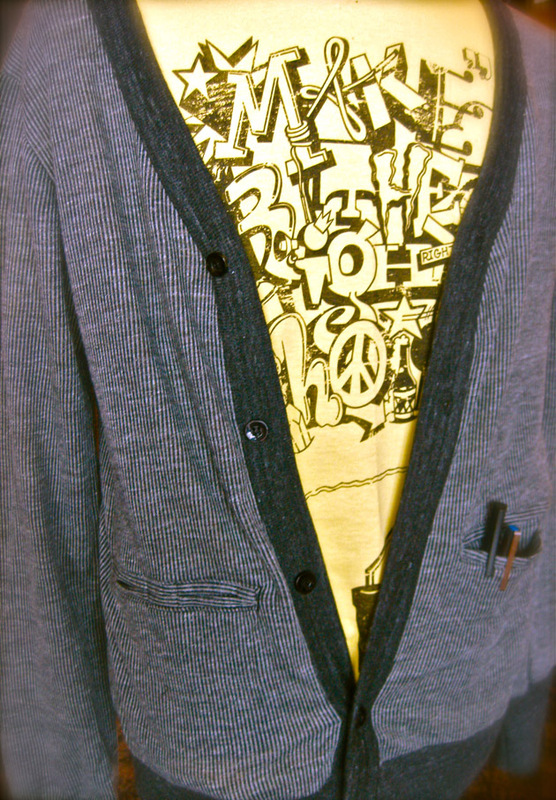 We also just printed up some more Mr. Roger's cardigans for the fall. These things always move fast so get one before the holiday rush! 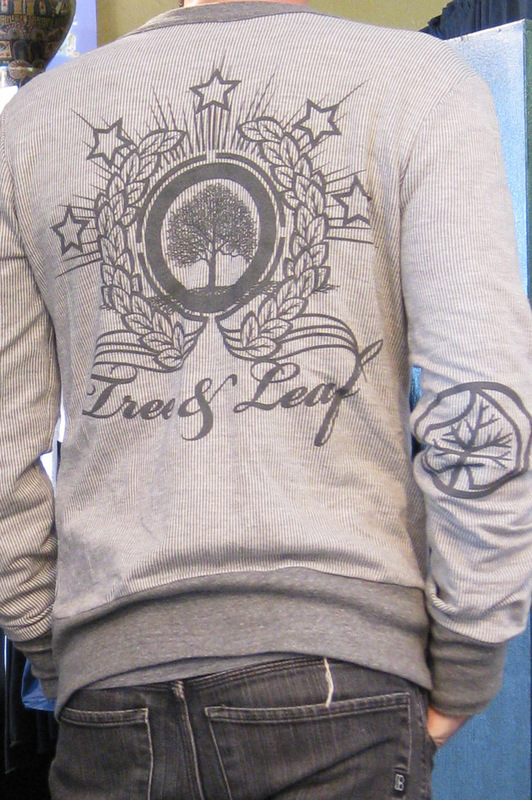 They have been re-released in two colors this year, eco-black and eco-grey!